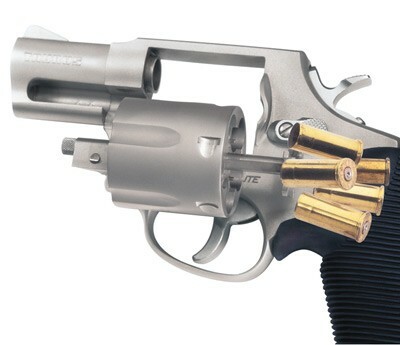 The newest version of the Judge might just revolutionize small frame revolvers. 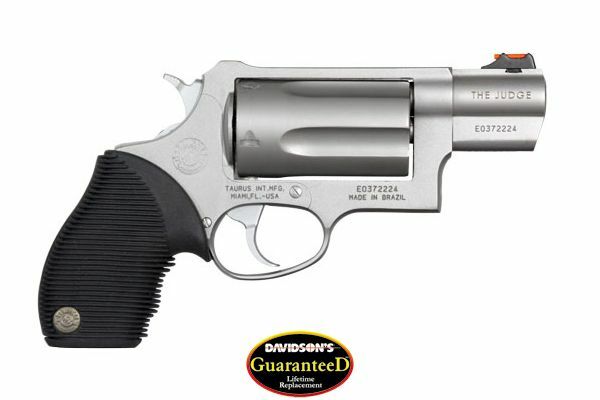 The Model 4510 Public Defender delivers the same devastating firepower in a new scaled-down size that can travel with you. Available in a carbon steel or stainless steel frame and with the option of a Titanium cylinder, the new Public Defender also features a reduced profile hammer that wont catch when it needs to come out quickly. DAVIDSONS GUARANTEED® LIFETIME REPLACEMENT: CLICK ON LINK BELOW FOR ALL DETAILS. For positive extraction of fired cases. Taurus family of semi-auto pistols all feature the Taurus Security System, which provides instant-ready defense with built-in ability to secure your pistol and make it inoperable at the turn of a key. When the Security System is engaged, the pistol cannot be fired or cocked and the gun's manual safety cannot be disengaged. As with our revolver Security System, the device is part of the firearm and cannot be lost, and the same special Security Key works for both the revolver and pistol Systems (two keys come with most guns). To engage: simply insert the Key into the button on the rear or side of the pistol and rotate one-quarter turn clockwise. This engages the Security System. 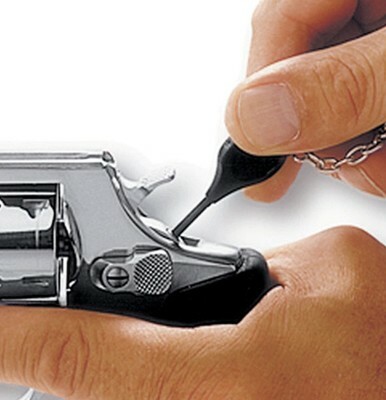 The manual safety cannot be moved and the trigger cannot be pulled. To disengage: simply rotate the key one-quarter turn back. 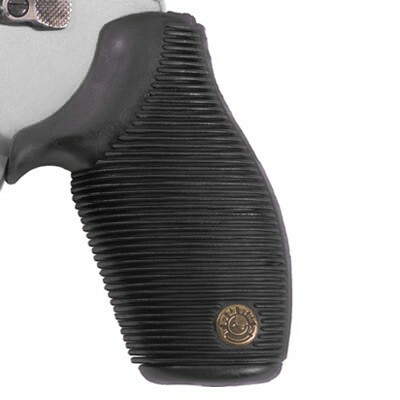 This releases the Security System, yet leaves the pistol's manual safety in the "safe" position until you are ready to release it yourself and fire the gun.